Marketing Ideas & Sales & Marketing for Professional Services & Value PropositionJust a little different is enough to stand out	Marketing Ideas & Sales & Marketing for Professional ServicesWord of Mouth prospecting is still where it is at! 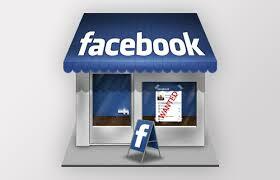 Facebook…love it or loathe it….it matters in creating an online brand. In the serious world of professional services with all its technical jargon, graphs, charts, acronyms and incredibly dull stuff as far as the average consumer is concerned, Facebook presents an opportunity to showcase individuals as unique personalities. Therein lies it’s power and potential for todays professionals. In a world of professional sameness and serious “game faces” there is a tendency for professionals to begin to all look the same and to bury their uniqueness as humans. Yet, we know that fundamentally people do business with other people. In order to begin creating a relationship (even a purely commercial one) there does need to be a strong element of “getting a feel for the other person”. Facebook is an excellent vehicle for showing that human element and building personality into a personal brand. Just as it is in the offline (real) wold, that personality will not necessarily resonate or sit well with everyone out there and that is ok. But if people largely do business with those that they feel they know and like, then Facebook provides the ability for people to get to know the individual professional a little, and decide whether they like what they see. So how do you find your Facebook mojo? In this quick video we look at how to set the tone and style, and what to avoid, in using Facebook to help create that personal brand…. About 35 minutes ago from Tony Vidler's Twitter via Hootsuite Inc.